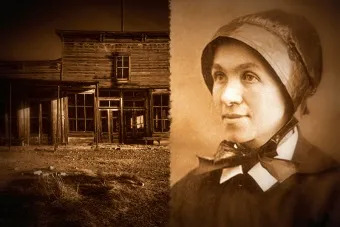 Santa Fe, N.M., Jan 25, 2018 / 05:26 pm (CNA/EWTN News).- Billy the Kid, a notorious bank and stage-coach robber of the Wild West, met his match in the most unlikely of people when he met Sister Blandina Segale. According to legend, and to Sr. Blandina’s journal and letters, one of Billy the Kid’s gang members had been shot and was on the brink of death when the doctors of Trinidad, Colo. refused to treat him. Sister decided to take him in and cared for him for three months, nursing him back to health. But Billy the Kid (William Leroy) was still unhappy. Word got out that the outlaw was coming to town to scalp the four doctors of Trinidad in revenge. When he arrived, Sr. Blandina intervened, and convinced him to call off his mission on behalf of his man she had saved. After that incident, Sr. Blandina and Billy the Kid became friends. She once visited him in jail, and he once called off a stage-coach robbery as soon as he realized Sister was one of the passengers. When she wasn’t calling off outlaws, Sr. Blandina was founding schools, building hospitals, teaching and caring for orphans and the poor, and advocating for the rights of Native Americans and other minorities. All in a day’s work. Her heroic virtue and enduring works are why her cause for sainthood was opened in New Mexico in 2015, earning her the title “Servant of God” and allowing people to ask for her intercession. Since then, several documents have come to light corroborating her stories, and the necessary miracle for the next big step – beatification – seems to be well on its way. “Sainthood isn’t about an award, it isn’t about honoring, it’s about helping the faithful know that there is a source of God’s grace being worked on Earth,” said Allen Sanchez, president and CEO for CHI St. Joseph’s Children in Albuquerque, which Sr. Blandina founded. Sanchez also serves as the petitioner for the cause of Sister’s sainthood and has studied her life extensively. Sr. Blandina, born Maria Rosa Segale, was just four years old when she emigrated with her parents from the small town of Cicagna, Italy to Cincinnati, Ohio in 1854 (she had her 5th birthday on the boat ride over). At the age of 16, Maria Rosa joined the Sisters of Charity and took the name Sr. Blandina. When she was just 22 years old, she was sent – alone – to Trinidad in Colo. territory to teach in the public school there. A few years later, she was sent further south, first to Santa Fe and then to Albuquerque, New Mexico. It was probably quite an adjustment, Sanchez said, going from Europe and the more settled parts of America to the still very rough-and-tumble west. While in New Mexico, Sr. Blandina helped found the public health care system and the public school system by building the first hospitals and schools in Albuquerque, often asking for the temporary release of prisoners to help her with the labor. Much of what is known about Sr. Blandina’s life comes from a series of letters she wrote her sister, Sr. Justina Segale, who was back in Ohio. The compiled correspondences, which span the years of 1872-1894, were published ten years before Sr. Blandina’s death in 1941. “You’re able to see the history of New Mexico happening within her interactions,” Sanchez said. To open a cause for sainthood, examples of heroic virtue of the person must be shown. The specific example of heroic virtue that her petitioners are using involves another story that could only take place in the Wild West; the story that earned her the title “The Fastest Nun in the West” from a 1966 CBS feature on the incident. That’s when Sr. Blandina went to work. She met with the shooter, and was able to convince him to write a confession. She then met with the dying man, and convinced him to forgive his shooter – in person – before he passed away. After the two men were reconciled, Sr. Blandina then had to face down the lynch mob that was coming to kill the shooter, who, because of Sister, was instead taken to the circuit court and was given life in prison. After nine months, he was released to go back home to care for his four children. “She disarms them from their guns, their hanging rope and their hate,” Sanchez said of sister and the lynch mob. Sr. Blandina also made several trips to Washington, D.C. to meet with legislators and to advocate on behalf of the Native Americans, whose reservation boundaries were being drawn at the time. And although her own life is being evaluated for sainthood, Sr. Blandina herself knew all about the canonization process – she helped to petition to Rome for the cause of two different saints in her lifetime; St. Elizabeth Ann Seton and St. Kateri Tekakwitha. She also helped bring now-St. Katherine Drexel and her sisters to the West to help serve the Native American populations. In order to be beatified – one step away from canonization – there needs to be proof of an otherwise – inexplicable miracle brought about through that person’s intercession. There are several possible examples of this being explored, which makes those petitioning for Sr. Blandina hopeful that her cause will advance quickly. The example of her life on earth is also important for the faithful today, Sanchez said, because Sr. Blandina knew how to address both immediate problems as well as more systemic problems of social justice. Sister’s cause for canonization may take several years, depending on the approval of her heroic virtue and miracles attributed to her intercession, but Sanchez said the board that is petitioning her cause is hopeful that things will progress quickly. “I’d say we’re more than halfway through the diocesan phase. For her to be called ‘venerable’, we just have to prove her heroic virtue,” he said. If he had to describe her personality, Sanchez said, he would say she was tough but spunky, holy but unafraid of conflict. The best part of the process, Sanchez said, has been getting to know Sr. Blandina. This article was originally published on CNA Aug. 1, 2015. 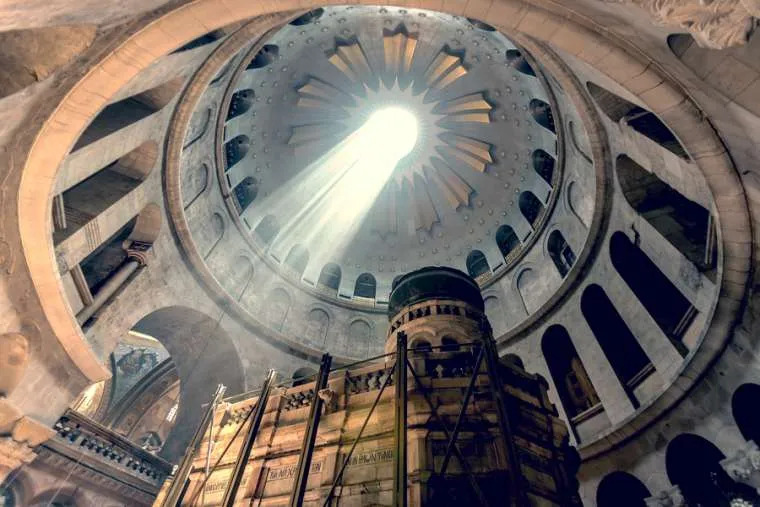 Washington D.C., Nov 9, 2017 / 03:08 am (CNA/EWTN News).- Next week, the National Geographic Museum in Washington, D.C., will open a 3D virtual tour of the Holy Sepulchre, the site of Jesus’ tomb. Veneration of Christ’s burial place dates back to St. Helena in the fourth century, who discovered and identified the tomb. St. Helena’s son, Emperor Constantine, built the Church of the Holy Sepulchre in 326 and enshrined the tomb. The shelf on which Christ’s body was laid is the central point of veneration, which has been encapsulated by a 3-by-5 foot marble structure – the Edicule – since at least 1555. 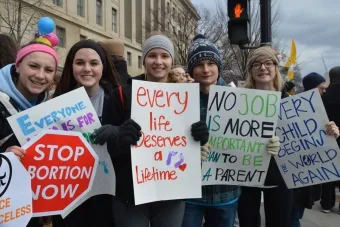 New Orleans, La., Jan 23, 2019 / 11:41 am (CNA/EWTN News).- The Fifth Circuit Court of Appeals on Friday rejected a request from abortion rights’ advocates to rehear a case challenging a Louisiana law that requires abortion doctors to have admitting privileges at nearby hospitals.